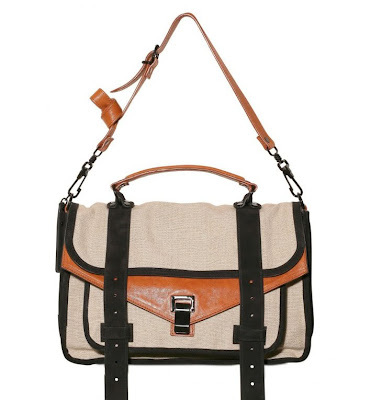 Fashionistas Daily .Com: Proenza Schouler PS1 Linen Satchel - The Perfect Summer Bag for All Fashonistas! 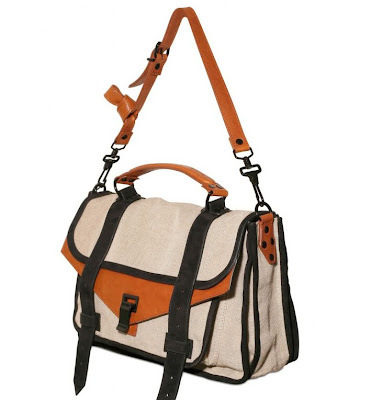 Proenza Schouler PS1 Linen Satchel - The Perfect Summer Bag for All Fashonistas! Ever since the very first Proenza Schouler PS1 bag came out, I have been in love & obsessed with this bag!! Inspired by the men's briefcase & attaché detailing, the design duo wonder boys has came up with this modern & fresh looking "Must-Have" bags that all fashion editors, Hollywood celebrities & fashionistas all over the world all wants to lay their hands on one of these PS1 bag. As the spring & summer is approaching, I've been on the lookout for a cool summer bag, preferably either made by canvas or linen material and this Proenza Schouler PS1 Linen Satchel is just perfect! 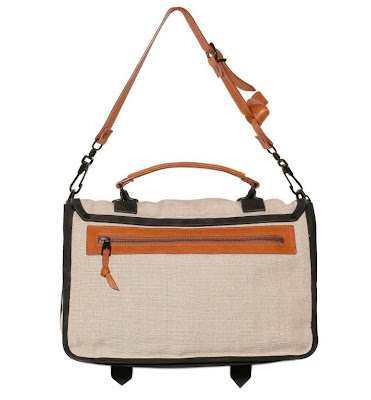 It's totally unisex looking and can be carry as a satchel or wear it as a messenger bag. The strap that came with the satchel is only 17" long, so if any of you male fashionistas wanna wear it as a messenger bag style, you will need to find a longer strap to be able to wear it cross body. Look at how fabulous Amanda Brooks - Fashion Director of Barneys New York looks with her Linen PS1 satchel in New York Fashion Week 2011 ! 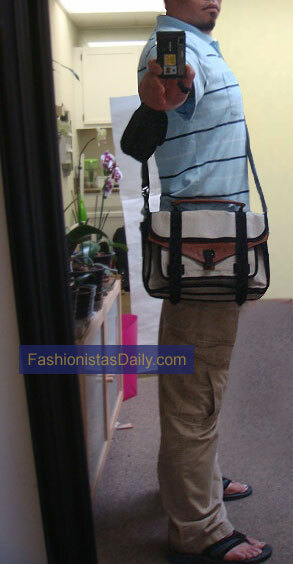 just saw your photos on TPF.. the bag is gorgeous on you, i'd be so afraid of color transfer! Hi Viv~ thanks for checking out my blog! and thanks for your compliments on my bag! I was worry about the samething,too! but I've been a big fan of designer bags that's made in canvas or linen materials so I just can't help myself to get one haha. life is short, if the color got transfer... 1) it's on the back side of the bag no one will see it, 2)It means it's time to buy a new bag! yes a good excuse! haha, love your blog btw! 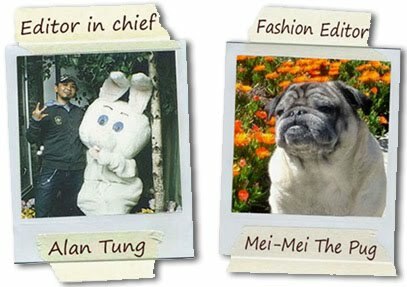 please subscribe to our blog and click on the facebook icon on the left side to join our facebook fanpage! see you soon! OMG it looks great on you! I guess the longer shoulder strap really helps! Hi Shane, thanks!! you should totally get one,too! it's totally unisex looking, especially you are much thinner than me, it will look even better on you! thanks for checking out my little blog! love your blog btw!